Located in Allegan Michigan, Burrito Boss is a purveyor of fine American/Mexican Cuisine dining. 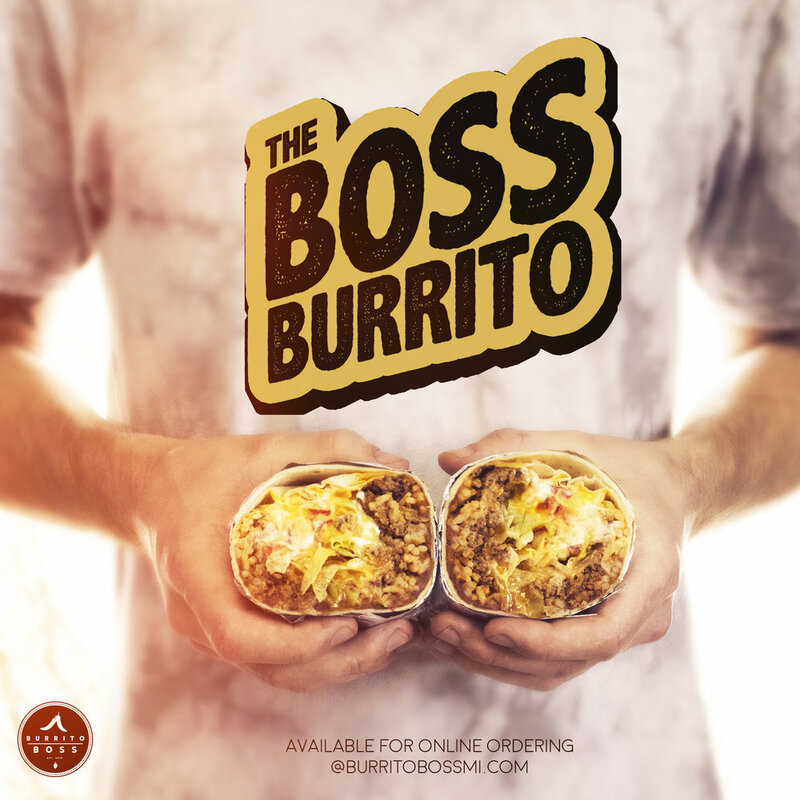 Burrito Boss opened in February 2018 and is located in Allegan, MI across the street from Betten & Baker Chevrolet, Family Owned & Operated Serving fresh American/Mexican Cuisine. Winners of the Best New Business in Allegan County for 2018. We continue to pride ourselves on serving both quality interpretations of Americanized Mexican Cuisine and daring new ventures into the uncharted territories of food. Burrito Boss is powered and designed by Derek Lafountain, Dixie Lafountain & Madison Ball. We use our designing skills and unique ideas for decorating our “fun hip” dining room of classic movie posters and neutral colors to maximize your dining experience. Burrito Boss is a family friendly restaurant and pride ourselves on connecting with our customers. Our small restaurant that seats 28 people offers the choice to dine in or take out. We would like to get the chance to meet the faces of Allegan and surrounding areas, as you stop in to enjoy the food we have to offer such our signature Mango Salsa Steak Tacos & Wet Burritos both becoming a instant town favorite.